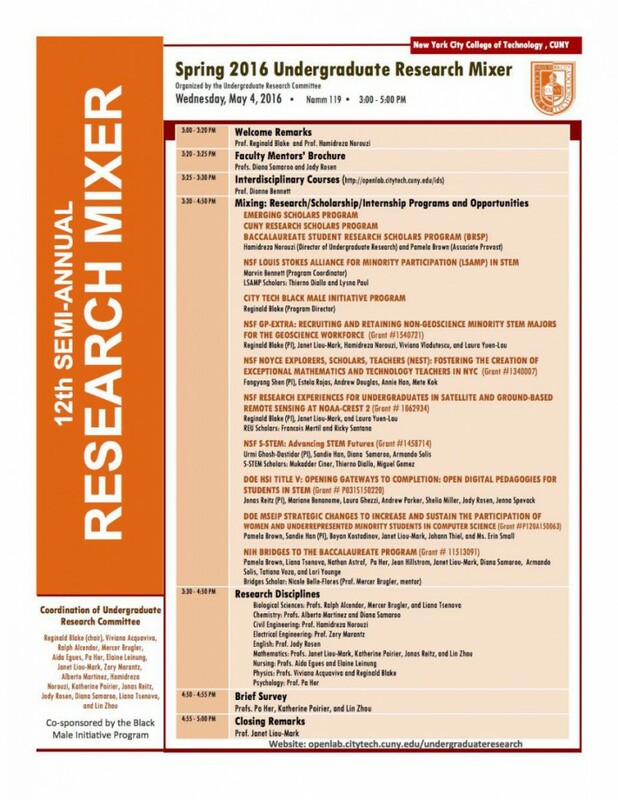 Spring Research Mixer this Wednesday! Calling all researchers and future researchers! The Undergraduate Research Committee hosts a research mixer each semester to help students and faculty meet to hear about the exciting research conducted within the City Tech community and to plan for future partnerships. The Research Mixer will take place this Wednesday, May 4th, from 3-5pm in Namm 119. This entry was posted in Announcements, Events, Faculty Opportunities, Student Opportunities and tagged City Tech, Faculty, Research Mixer, students by Jonas Reitz. Bookmark the permalink.